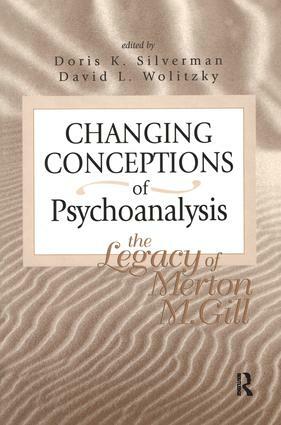 This outstanding memorial volume records and reassesses the contributions of Merton M. Gill (1914-1994), a principal architect of psychoanalytic theory and a principled exemplar of the modern psychoanalytic sensibility throughout the second half of the 20th century. Critical evaluations of Gill's place in psychoanalysis and a series of personal and professional reminiscences are joined to substantive reengagement of central controversies in which Gill played a key part. These controversies revolve around the "natural science" versus "hermeneutic" orientation in psychoanalysis (Holt, Eagle, Friedman); the status of psychoanalysis as a one-person and/or two-person psychology (Jacobs, Silverman); pyschoanalysis versus psychotherapy (Wallerstein, Migone, Gedo); and the meaning and use of transference (Kernberg, Wolitzky, Cooper). BySection One: Merton Max Gill, M.D. Are Minds Objects or Dramas? Psychoanalysis and Psychotherapy: Critical Differences or Blurring of Boundaries?